The dissemination and configuration of information is more important than ever with the internet, mobile gadgets and social media as the default means of communication, commerce and research. Data organization and accessibility has its roots in the work of graphic designer, Ladislav Sutnar (1897-1976). From 1941–60, Sutnar, who had settled in New York City in 1939 after migrating from Czechoslovakia, served as the art director for F.W. Dodge Corporation’s Sweet’s Catalog Service, producers of a wide range of industrial catalogs. Sweet’s catalogs brought together into one source plumbing, electrical, and building supplies which were marketed to the architecture and engineering trades. Along with his team of researchers, writers and designers (including Director of Research Knud Lönberg-Holm), Sutnar transformed the complex language of product information into clear, concise, and easy to use visual communication. The attributes of these ground-breaking catalogs are the precursor to what we now refer to as information design. This exhibition is a rare opportunity to see over fifty Sweet’s catalogs along with other published work by Sutnar relating to information design. The examples show how careful analysis and fundamental problem solving can revolutionize new standards of form and function. Sutnar’s pioneering work is as relevant today as it was more than 74 years ago. He was a master at making the complex simple, an arduous challenge that continues to resonate today. 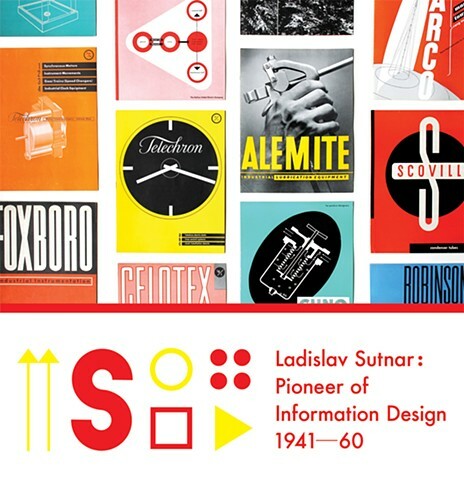 Ladislav Sutnar: Pioneer of Information Design is curated by Patricia Belen & Greg D’Onofrio – graphic designers, writers and educators. Please visit thisisdisplay.org for more information. Sponsored by The Visual Arts Department, Fordham University, organized by Abby Goldstein, Associate Professor with assistance from Margaret McCauley, BA 2017.